One of the greatest advertising coups of all time. I loved Tang.And it put me on a high to know that I was drinking the same drink that the astronauts were drinking. "Space men drank this"....... yeah, right ! We didn't ! ...tasted better eating it straight out of the jar! 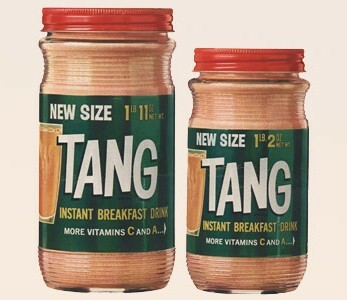 Tang, as I remember, was highly over-rated. And expensive. Mom never bought any. As far as I was concerned, Tang was a good reason not to become an astronaut.